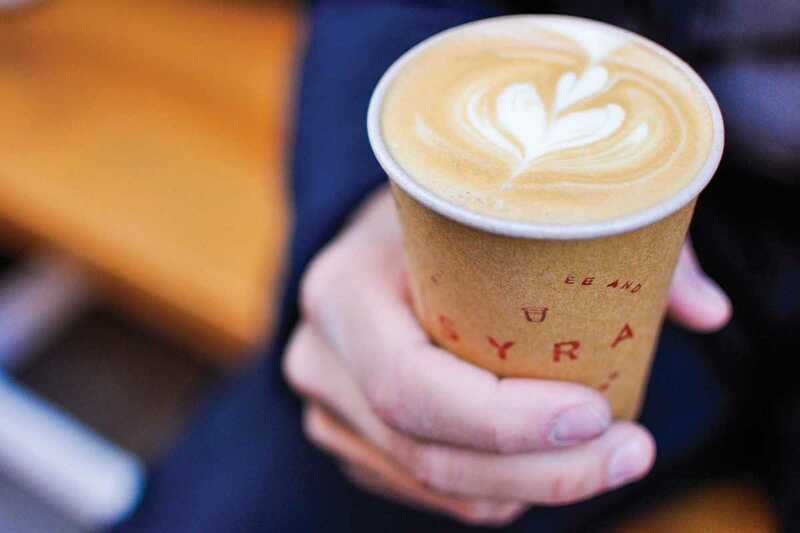 You will find the relocated Syra Coffee shop on a side street off the creaky looking, old Mercat de l’Abaceria Central (currently under renovation) in Gracìa. It’s small in size, more of a large hallway, culminating in a theatrical black curtain. Coffee is served only in brown, to go-cups emblazoned with a bolt of lightning. There is a well-curated offering of pastries to go along with a cup of coffee: large cookies that come in flavors like Matcha or red velvet, or sugar-glazed donuts from Lukumás. Syra have their own zine where they showcase the local artists that are their patrons, as well as the back story on the coffee beans they feature on a given month. Expect to find a steady stream of students flowing in and out of the shop throughout the day, leaving an animated buzz after a welcome hit of caffeine.